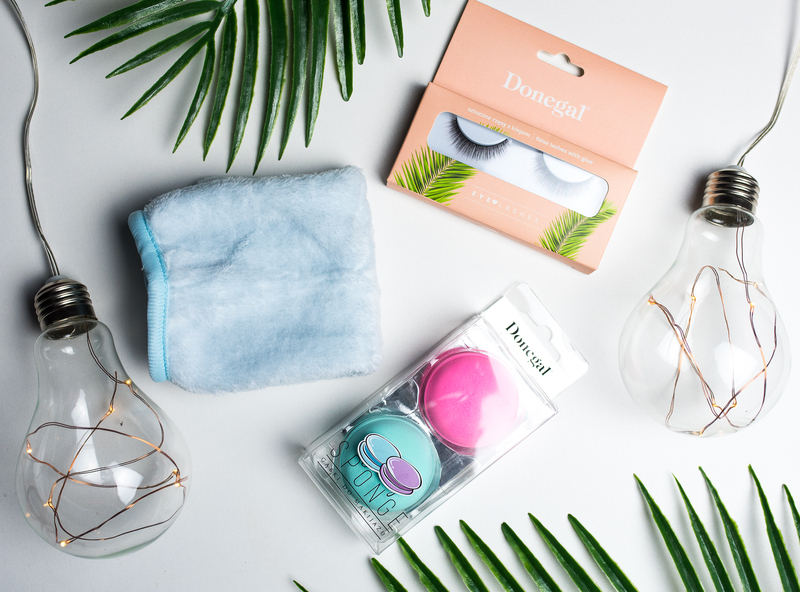 Stand allows to store makeup sponges in a camfortable and hygienic way.Product construction enables ventilation during drying, and prevents the growth of bacteria. Size: 5,5 x 5,5 cm. A set of sponges for applying foundation.Hypoallergenic and unscented.The set contains 3 sponges in various shapes and colors: red lips, white house and black heart.Size: 12,5 cm. 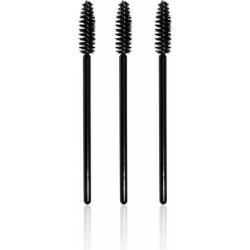 Professional eyelash comb gently combs removes mascara clumps.It creates natural look of the lashes.Combs works with dry and wet mascara.Size: 13,5 cm. 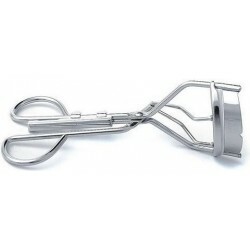 Eyelash curler provides a nice and natural effect of curling and lengthening eyelashes.It is made of high-quality steel.The rubber band on the clamping handle prevents damaging eyelashes.Product includes a spare eraser for the clamping part.Size: length 10 cm. Vannfast lim for kunstige øyenvipper.Svart lim for å feste sorte eller brune øyenvipper.Irriterer ikke øyelokket.Liten størrelse (8,5 cm) gjør at du enkelt kan lagre den i vesken din.Merk: Sminke bør legges ferdig før du bruker kunstige øyenvipper.Emballasjen inneholder 7 g. lim.Lim av høy kvaitet produsert av Donegal. 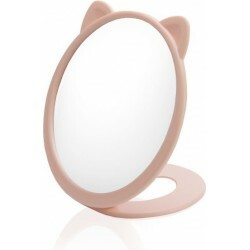 One-sided, round cosmetic mirror with rabbit ears.• Perfect for make-up, beauty and cosmetic treatments.• Size: diameter 17 cm. 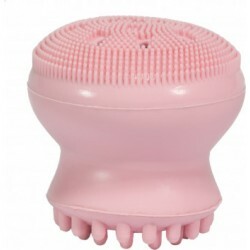 Silicone brush cleaner is dedicated for cleaning brush bristles.Antibacterial.Easy to use and convenient to store.Allows to maintain hygiene of cosmetic accessories.Size: 7.5 x 5.5 cm. 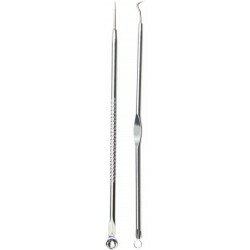 Face imperfecion removal set.Spoons allow hygienic removal of imperfecions.Size: lenght 12,5 cm. Kniven er designet for å justere øyenbrynene og barbere håret fra følsomme områder av ansiktet. Bladene er laget av rustfritt stål. Kutteren har en hette som muliggjør hygienisk lagring. 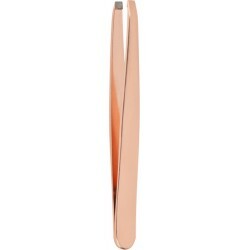 A straight tip cosmetic tweezers suitable to for all hair removal needs. 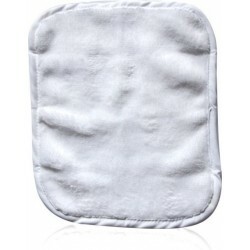 Crinkle – cut handle provides excellent grip. 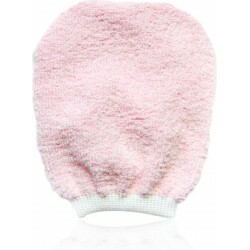 Size: length 9 cm. 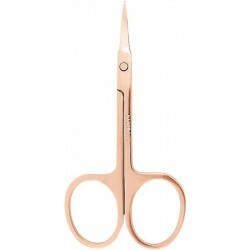 Cuticle scissors in the most fashionable color of this season - rose gold.Slightly curved, wide blade is extremely precise.Handy and convenient to use. 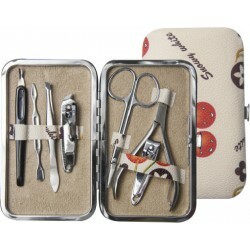 Size: length of scissors 8.5 cm, blade length 2.5 cm. 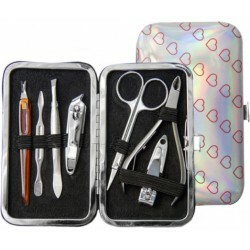 Professional nail care set, closed in a handy case.Accessories are made of durable and safe material.Products can be disinfected.Set contains: cutticle cutter, cutticle pusher, cutticle scissors, cutticle nipper, slant tip tweezers and two nail clippers - straight and slant. Size of the set: 7 x 12,5 cm. 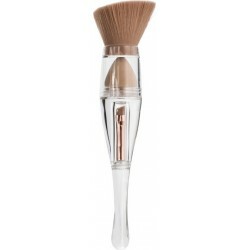 A triple make'up brush with a modern, transparent handle will successfully replace several traditional brushes. 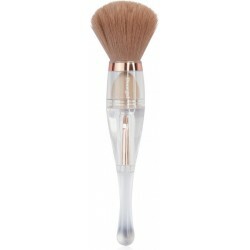 Inbrush 3in1 consist: - blush make'up brush - blending sponge - eyebrow make'up brushSize: length 16 cm. 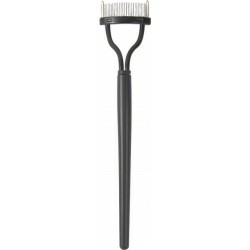 A triple make'up brush with a modern, transparent handle will successfully replace several traditional brushes. 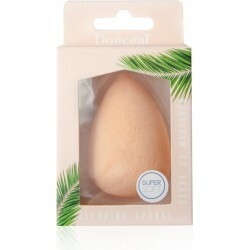 Inbrush 3in1 consist: - powder make'up brush - blending sponge - lip make'up brushSize: length 16 cm.